Fru-Gal.org: A $30 Freebie in my Mailbox! A $30 Freebie in my Mailbox! Woohoo! 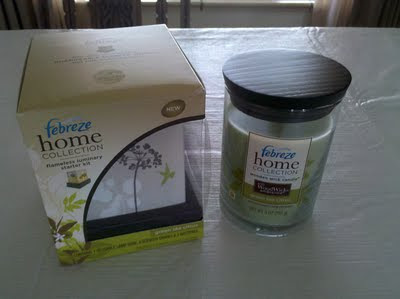 I received this awesome freebie in my mailbox today from Febreze... A flameless luminary starter kit and a wooden wick candle! I checked online to see what these would normally sell for; the luminary starter kit is listed at $13.23 on sale, while the wooden wick candle is listed at $15.90 on sale! That's a $29.13 value. It definitely pays to sign up for free items.